Previously leaked K-pop and Onesie skins in Fortnite: Battle Royale were apparently removed from the game's files in Fortnite Patch 6.20. 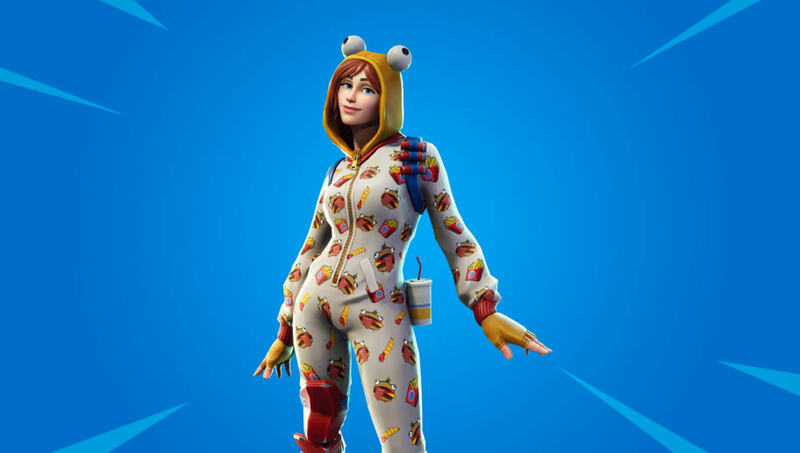 Breaking News: The Onesie Skin will not come to Fortnite item shop. All the Files realated to Onesie were removed in Patch v6.20. The same thing happen to a previous leaked skin without a name! ​​​Fortnite fans noticed two leaked skins are no longer in the game's files. Epic Games apparently removed the Onesie skin and the K-pop skin from the files, and there is no information indicating whether the skins will return or not. The Onesie skin was a fan-favorite. It takes inspiration from the Durr Burger, with patterns of the mascot all over the skin. It was discovered by data miners near the start of Season 6 -- which recently wrapped up ​Week 5. The K-pop skin was discovered in files back in September. Whether the skins are scrapped or are being tweaked for any bugs is unknown. The Zoey skin was ​recently disabled because of a bug that turned players invisible.